The 2018 Pure Mile Competition will have its annual awards night on Tuesday 16th of October at The Brooklodge Hotel in Macreddin, Aughrim. The awards and certificates will be presented by, Mr. Andrew Doyle, T.D., Minister of State for Food, Forestry and Horticulture and the Cathaoirleach for Wicklow County Council, Cllr. Pat Vance. The initiative has grown every year, and with the introduction of, ‘Clean Up The Uplands’ award, which invites special interest groups, scout groups, walking groups, cycling groups, businesses and organisations, to adopt and upland area, it has resulted in over 60 groups enlisting in the 2018 competition. This year there are over 1,000 volunteers collectively improving and enhancing over 220 miles of road, forestries, woodlands, upland amenities, valleys, mountains, and beaches, with the removal of tonnes of illegal dumping and litter from the Wicklow/Dublin Uplands. 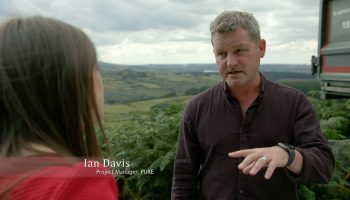 Ian Davis, Pure Project Manager commented. Each group will receive a Pure Mile Certificate, a selection of native trees, and all will be included in the popular Pure Mile Calendar, which will be launched in November this year. A number of awards will be presented on the night, with over €4,500 of prize money being handed out. The Pure Mile is the perfect opportunity for communities and groups who want to positively contribute to their locality. It enables people to improve and enhance the place they live in, or recreate in, and the awards night enables groups to meet people with similar interests. Pure supply all groups with bags, litter pickers, gloves and high-vis jackets, and the Pure Truck removes all of rubbish gathered by groups. If any groups, communities, individuals, schools, walking groups, cycling groups, scouts, businesses, anyone, wants to get involved in next years Pure Mile, they can contact Pure at [email protected] or download and application from www.pureproject.ie/what-we-do/the-pure-mile/. You can also write to; Pure Project, Wicklow Mountains, National Park, Kilafin, Laragh, Bray, Co. Wicklow and they will post out all the information or request an application form and information pack by phoning Pure on 0404 45547.